Four different precursor solutions of 50 mL, 75 mL, 100 mL and 125 mL were used to deposit ZnO films on stainless steel at a substrate temperature of 300°C. The deposited ZnO film was confirmed using Raman spectroscopy and the thickness of the film was measured using reflectance spectroscopy. Piezoelectric material based on ZnO films were excited using an AC voltage on its longitudinal mode (d31). It was found out that ZnO film with the thickness of 897.89 nm obtained the highest RMS voltage output of 0.520 V and 0.8 V with resonant frequencies of 3.8 MHz and 6.41 MHz. Similar piezoelectric behavior observed for longitudinal mode (d31) compare to transversal mode (d33). A. Bendal, A. Tuico, A. Cafe, L. Ballesteros, J. Lopez, E. Estacio, A. Salvador, and A. Somintac. 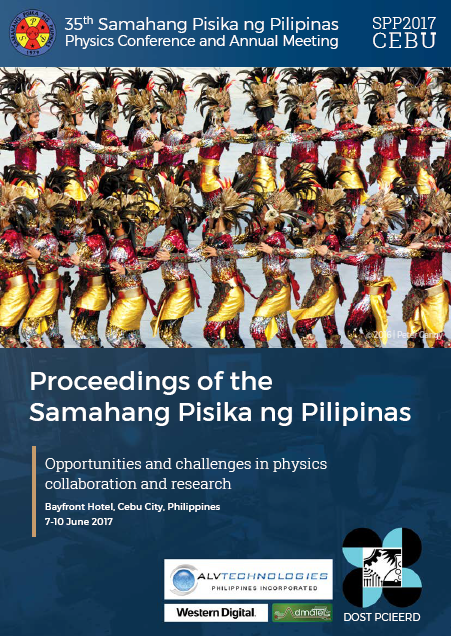 Thickness dependence of the piezoelectric properties of zinc oxide film deposited on stainless steel via spray pyrolysis, Proceedings of the Samahang Pisika ng Pilipinas 35, SPP-2017-1E-02 (2017). URL: https://paperview.spp-online.org/proceedings/article/view/216.